High-classic Gandhara style, Pakistan. Circa 2nd/3rd century AD. Carved from a hard grey schist. Recovered from Swat, Pakistan, early 1960’s. Yes, it is proper that you have doubt, that you have perplexity, for a doubt has arisen in a matter which is doubtful. Now, look you Kalamas, do not be led by reports, or tradition, or hearsay. Be not led by the authority of religious texts, nor by mere logic or inference, nor by considering appearances, nor by the delight in speculative opinions, nor by seeming possibilities, nor by the idea: ‘this is our teacher’. This extensive list of negations begs the question of just where the Kalamas might find the reassurance they seek. If Buddhism is valued as a religion teleologically grounded in praxis rather than metaphysics, such an injunction clearly carries a primary significance. The Buddha also, of course, recommends the Four Noble Truths and Eightfold Path and encourages the institution of a renunciate order which embodies and substantiates that model. Yet here at least the implicit suggestion is that prior to any concession to it, must come individual (rather than consensual or authority-mediated) judgement of the model as such. One implication of the Buddha’s words is that the only source the Kalamas can look to for any certainty is one that is already in their possession, in their own capacity for judgement for what is (the Buddha goes on to say): ‘good and wholesome’ (kusala). The question still remains then, in what precisely does such judgement consist? And more specifically, in what final subjective authority does such judgement inhere? Because the Buddha has already made it clear that in virtually every sense it cannot derive from an external or social, and so in some sense unreliable, source. It can’t even, finally, rely on the revelation of the Awakened One himself: “a disciple should examine even the Tathagata himself, so that he might be fully convinced of the true value of the teacher”. This clearly begs another question: How can a disciple judge the true value of a teacher without having some prior sense or understanding of what it is that makes a teacher valuable? That is, of knowing already, in some sense, what the teacher claims to know? Siddhartha Gautama faces the same problem. He at least twice leaves everything to seek his own way. He enters into a second renunciation when he leaves first his Brahmanic (probably Sankhya) teachers, and then his yogi colleagues after six years of forest austerities and practice with them, for an absolute solitude without the validation or religious succour of a worldly authority, or a rishi, or a father figure. This moment of the Buddha’s pre-enlightenment experience – what I’m calling his second renunciation – has received little if any exclusive scholarly attention, and its possible ‘genetic’ relation to the developmental shifts of Buddhist practice beyond its traditional cultural bases, essentially none at all. In their recent university-level textbooks for example, each published within the last 5 years, Prebish & Keown, and Donald Mitchell, are typical in framing Gautama’s progress as simply that of an aspiring mendicant who remains technically unsatisfied with existing yogic disciplines and their results. The question of autonomy as such, or its implied need, is not raised. But Gautama’s second renunciation, much less generally remarked than that of his first, is different and more subtle because it appears to be a response to his own failure in the mission he has originally abandoned his worldly life to pursue. The deliverance Gautama has hoped to secure with his Sankhya teachers Alara Kalama and Uddaka Ramaputta has left him dissatisfied, despite the great discipline and awareness to which he has attained. (Karen Armstrong at least, in her biography of the Buddha, thinks so). Gautama needs to go back, by going forward, to look at the assumptions and first ground from which he has started out. His received religious and intellectual structures have internally failed him, and the only thing he has left to guide him is his own intuitive process. That’s a rudimentary characterisation, but all that can really be said on the evidence, yet it is still telling enough for that. Because if it sounds familiar it might be because a similar state of spiritual affairs is being articulated with increasing transparency by many (not all) of the elders of what is known as ‘Western Buddhism’. The way of the Buddha is a living response to a living question. Yet whenever it has become institutionalised its vital response has become a well-formulated answer. The seemingly important task of preserving a particular set of answers often causes the very questions which gave rise to those answers to be forgotten. Batchelor values as primary the “stammering voice that asks the questions” because without it authentic spiritual enquiry becomes compromised by that shift of focus which, after Heidegger, supplants “meditative questioning” with “calculative questioning”. For Batchelor, calculative questioning based on a prescriptive reliance on dogma renders the original imperative of all spiritual practice misdirected: “Belief, whether in a teacher, a doctrine, or even one’s experience, retreats from the questions behind a shield of protective views and concepts”. For Batchelor, original ignorance is compromised by a largely conceptual, even defensive, frame of representation inadequate to the depth of need which introduced enquiry in the first place. Conceptual security is more serious than a category mistake, because what is really at risk is not so much truth as genuine insight. Significantly, the doubt that questions is also potentially “a response that leads not to further knowledge about any particular thing but to wisdom as a whole”. He also suggests that “this existential perplexity is the very place within us where awakening is the closest. To deny it and adopt a comforting set of beliefs is to renounce the very impulse that keeps one on track”. Batchelor’s proposition points up a paradox: the doubt that maintains an authentic and so groundless frame for itself “can never rest content with any answer”, yet it is only via such a consistent modus of uncertainty that questioning ultimately, at least for Batchelor, provides the space for a “wisdom of the whole” – not an ‘answer’ per se but a ‘response’ to questioning as a Gestalt – to emerge. The form the response takes cannot be necessarily pre-empted by any one view, Buddhist or otherwise – even where such a response might identify as a Buddhist one. John Makransky’s critique of Batchelor’s “bad habit” of ahistoricism in “[asserting] a new hegemony over Dharma by re-constructing it narrowly within the presuppositions of his own place and time (in his case, a post Western-enlightenment agnosticism)” overstates the case, but would be true enough if Batchelor’s intention was purely that of an attempted re-authentication of the Buddha’s original teaching. But that is the lesser concern of Batchelor’s project, which is oriented purely to effective, meaningful praxis. And praxis in this case is a-historical, insofar as self-reflexive consciousness has no choice but to engage with the givens of its own phenomenological content, rather than try to historically objectify (and so conceptually mediate) everything it perceives. Why Batchelor’s apparent bias towards a ‘post Western-enlightenment agnosticism’ is such a bad place to start from is also unclear. The position is shared by much of the advanced contemporary mind in its engagement with the latest research in science, social theory, ethics as well as religion. His Holiness the 14th Dalai Lama, for example, is very sympathetic to its sane humanity, as against (for example) exclusivist fundamentalism of any colour. Batchelor is only being true to his time, which on Makransky’s own analysis of the evolution of the dharma is what all travellers on the dharma-path must be in any case. How any temporal, conditioned, socially-constructed view is capable in any case of “asserting a hegemony over Dharma” (Makransky uses a Capital D), is left unexplained. Batchelor would be the first to disclaim even that possibility, and the dharma under that designation would seem big and old enough to look after itself. Despite the doubt and scepticism from which it emerges, Batchelor’s working position however is succinct and unambiguous, even while it leaves all answers open: “The end for which the Buddhist path is a means can only be the penetration of this mystery of being thrown into birth only to be ejected again at death”. Such an existential focus is central also to the work of Professor David Loy. As a speculative philosopher and Zen-contemplative of transpersonal social identities, Loy has for twenty years articulated many of the shifts of emphasis in evolving Western representations of the dharma. In Lack and Transcendence (1996), his recontextualisation of Buddhist doctrine provides a philosophical underpinning to the kind of emergent dharma evident in a wide cross-section of contemporary Buddhist practice. Loy proposes that a deep intuition of the ontological un-reality, or groundlessness, of the subject-self, gives rise to the complex of anxiety and displacement reactions that characterise contemporary unhappiness. our lives suffer from a lack of meaning that disguises itself as consumerism and a host of other addictions. Having lost our spiritual grounding […] and more recently our faith in technological progress as an alternative of self-grounding, we experience our groundlessness as an unbearable lightness of being. The tragic dialectic between security and freedom reasserts itself: having attained some measure of self-determination and confronted the lack at its core, we now crave the grounding that would connect our aspirations with something greater than ourselves. Yet, we soon find, as does Siddhartha Gautama in his initial religious project, that such grounding isn’t ultimately forthcoming: the terms shift, states arise and pass, no final certainty waits on either the secular or religious horizon. Loy describes both Western existential and psychoanalytical analyses of the ensuing anxiety as ones which recognise the repression of death-awareness (in Becker and Heidegger), as well as the ontological ‘nothingness’ inherent in consciousness (in Sartre), as the bases of human suffering, but suggests both analyses are inadequate to the further analysis which Buddhism provides: the ultimate emptiness (sunya), of selves, the phenomenal world, and consciousness itself. For Loy, Western anxiety as an epiphenomenon of ontological doubt is in fact a necessary and useful signal of authenticity: he aligns it with Kierkegaard’s positive analysis of Angst which when deeply contemplated potentially yields to an apprehension of the presence, and salvation, of God, or in Buddhist terms, the actual emptiness of self. Unconscious Western attempts to displace the ontological insecurity of an illusory ‘I’ in reifying self-investments in fame, material wealth or the romantic projection of personal love, are all deferring the profound truth modern anxiety might be pointing to: that the foundational image of ‘self’ that Western civilisation both exacerbates and struggles with, in a vicious circle of dependency, has reached a critical point of self-doubt in the same way that Zen Buddhist contemplation, for example, deliberately struggles with its Great Doubt in order to ascertain the ‘right view’ of sunyata. Religious (including Buddhist) faith itself might therefore for Loy function as only another ‘displacement’ of doubt, an aggrandisation of the illusory self, so still another form of ‘bad faith’. In Loy’s analysis then, and much like Batchelor’s, doubt is a directly functional, already-pervasive and essential, element of authentic spiritual enquiry – ironically, the ‘ground’ of an ultimately illusory struggle that nonetheless is precisely the grist for the spiritual mill that must be faced before the truth of the so-called ‘Buddhist’ apprehension of sunyata might be realised. We can now briefly return to Gautama, the soon-to-be Buddha. Why does he register such repeated doubt, such moves toward some version of autonomy, a total freedom from his prior context? What is it saying about his process, that he is compelled to do so at all? Is it a frustration, or an essential development? John Caputo, with respect to the contemporary Western philosophy of religion, approves of a Derridean “messianic postmodernism”, or negative theology that is both radically subjectivised (after Kierkegaard) and post-secular, and with Derrida he invokes the Abrahamic “I am here!” as its fitting expression. Kyongsuk Min responds to such a focus on a radical, subjectivised alterity with the suggestion that “a periodic ‘contamination’ of religion with negative theology should be a wholesome exercise that would challenge each religion to transcend its determinacy and probe its own messianic depth for the impossible possibility of the wholly other.” Note the use of the word “wholesome”, or, returning to the Kalama Sutta, the Pali “kusala”. I would claim a congruent dynamic in the current case, both of Gautama’s process (pace progress), and some dimensions of that of Western Buddhism at the current time. The Buddha’s ‘second renunciation’ interrogates the notion of progress itself, because most simply it is not clear what there is to be won. It is a moment that appears to escape, for example, a convenient explanation of ‘perennial’ vs. ‘culturally-constructed’ mystical experience (as if such experience need be so temporally-framed). The force of Gautama’s action, simple as it is, is both negation and aspiration towards an unknown, it metaphorises a nexus of conclusions, as well as new beginnings, to his journey. The Buddha is not yet a Buddha, he is a man merely, paradigmatic of the human condition in a form he will later not be accessible to as the Awakened One. There is a threshold between Gautama’s profane status as a man, and that of his divinity, where he will become both epiphanic Man, and wholly unrecognisable as ‘one of us’. I apprenticed with him [and]…learned the artistry, so to speak, of manifesting a more liberated expression of being. In that process, however, there was something else that came through that I would call ideology, dogma, religion…Suddenly, here was this whole Buddhist cosmology – a doctrine of totality – right in front of me. Resplendent with karma, rebirth, heaven, hell, nirvana, psychic powers and Buddhahood, spiritual perfection itself… One predicated on the belief that the Buddha was omniscient. It took me seven years…I downloaded an entire religion. After seven years as a monastic, Clements disrobed to work as a lay retreat-leader and teacher of Vipassana meditation. Some years later the country that had sheltered and taught him the centuries-old authentic practises of Theravada self-enquiry was engulfed in totalitarian tyranny: his fellow-monks and friends imprisoned or killed by the rampaging military of General Ne Win, threatened by the nation-wide thirst for democracy. Clements re-entered Burma illegally, with a spontaneous desire to aid his friends in their hour of need: a remarkable impulse, when he might easily have returned to the comfort of worldly security in the U.S.A. He describes the return as such: “Once in, my heart cracked open. No amount of meditation or spiritual training could have prepared me for what I witnessed. I walked into a full-scale ‘ethnic cleansing’…My views about life and the dharma have never been the same”. His subsequent experiences in the former Yugoslavia during 1995, perhaps still more horrific, only confirmed this profound confrontation with life unmediated by a frame of potential transcendence, release into nirvana, hopes of a pure realm: such intentions became, literally, irrelevant. The confrontation, however, could only result in a deep awe of actual conditions, not a supposed transcendence from them. It seemed to Clements that if there was such a thing as ultimate ‘freedom’ from such conditions, a state where their currency of suffering didn’t exist, it would only be by enquiring radically into the self-nature of the world as it is, rather than, emptiness-wise, as it isn’t, that it might be found. Further, the assumption of a transcendent freedom might have its own bases thereby interrogated, only narrowly engaged with the task of being ‘in’ life, rather than outside of it – somewhere, hypothetically, ‘else’. Clements’ extreme experience was able to deliver a powerful moment of insight, an awareness of the indivisibility of experience as both the mysterium tremendum and only ontological ground from which to perceive the same: “there is no other life”. For Clements Buddhist practice also becomes grounded in a paradoxical reversal as well as fidelity to its traditional formulation: unless it is inspired by a thorough investment in this world and its multivalenced process (as against, for example, the total renunciation of the Theravada), it is a gratuitous project which loses meaning precisely by virtue of its unworldliness. Yet insofar as it grounds itself in a commitment to the Other, it is also a classically Mahayana path, which only insists that renunciation, also, be revisioned as an engaged but unattached relation to the world, rather than a dualistic dismissal of it. Clements perhaps goes further than Batchelor in dismissing the idealist claims of full Buddhist enlightenment while preserving a genuine commitment to the dharma as a rubric of relatively ‘enlightened’ and compassionate action in the world from a cognitive dimension that perceives interdependent reality more accurately and truly. 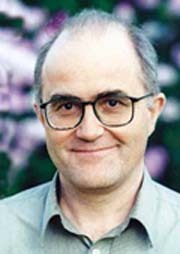 While his repudiation of teleological enlightenment as unhelpful to his intentions now disclaims him as a Buddhist, Clements is centrally concerned to acculturate Western, individualised agency to the kind of “revolution of the spirit” he adopts from Burmese pro-democracy leader Aung San Suu Kyi. Again, like Batchelor, Clements’ scepticism towards the full spectrum of metaphysics doesn’t deny a fully engaged commitment to Buddhist ethics in lived life. With this realisation, and his subsequent evolution into what might be described as a non-aligned, non-religious, life-affirming, existential-immanent dharma, Clements articulates a difficult spiritual value that is both wholly traditional as well as radically contemporary. It is a position that valorises both, focussing deeply on its own expression of authentic freedom: that it is to be found in the given context of everything that has formed the unique self, rather than it’s ‘not-self’, even where that self partakes freely in an ancient and coherent class of universal religious values. 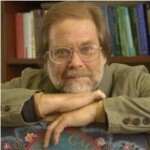 Clements is facilitating that empowerment in which the unique actual self, in its engagement with a plethora of competing metaphysics (even within the buddhadharma alone, let alone other religious systems), is able to enter into a process of awakening, itself necessarily unique, from the authentic ground of experience as-it-is. The Buddha famously described the dharma as a raft that is used to cross the river of dukkha, but that it may confidently be relinquished once the other side of suffering is reached. The statement implies a truth the value of which is not merely that of a literal, diagnostic prescription, but more deeply symbolises the dharma as a container, a vessel, an alchemical crucible for the transformation of immaterial consciousness, and it too as empty of inherent existence. But the story still requires a conclusion. 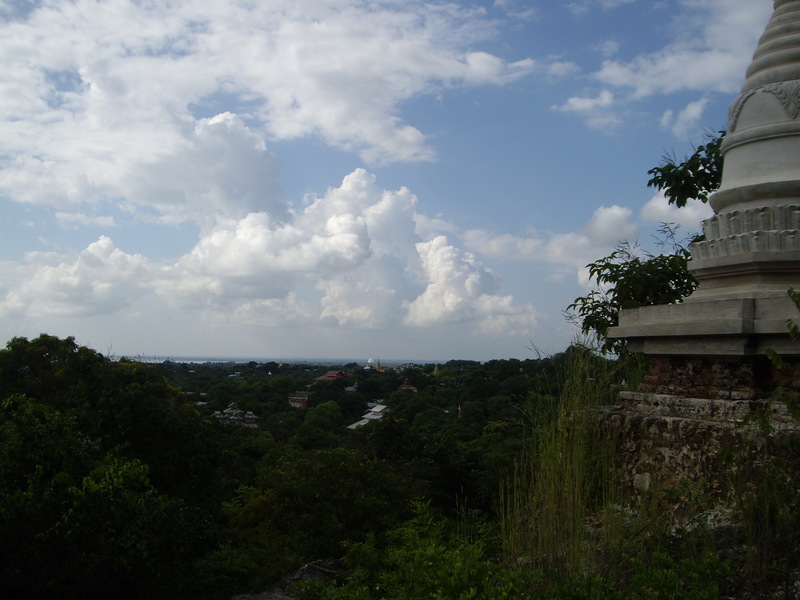 Near Uruvela, on the banks of the Nairanjara River, Siddartha Gautama almost dies during his period of crisis. Armstrong vividly describes him as clad in hemp, or naked, growing dangerously malnourished, subsisting sometimes on only his own faeces and urine. 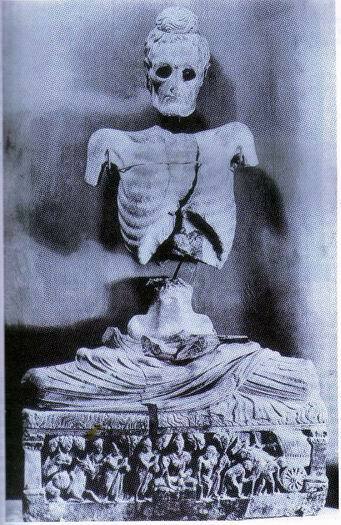 Is this derelict the future Buddha? What has happened here, where are his dignity, his signs of inevitable transcendence? His spine meets his navel, his hair falls out, his skin withers and blackens. Even the gods, passing by, ignore him because he seems already a dead man. These details are in the Majjhima Nikaya, but what do they signify? Why would the Buddha be reduced to this just before his miraculous breakthrough? Because he must endure such trials in order to discover the unparalled life that lies on the other side of them? If so, is that also the case with what immediately follows? Because what follows is that Gautama realises he has failed his ascetic companions, who look to him as their superior, and must leave them too. He could give up and return to his earlier teachers: for the company, to belong if anything to some human guild; he could even return to his wife and child waiting in the palace. (In some sense he hasn’t really succeeded even in leaving there, is still as “doomed to rebirth” as any householder). But he doesn’t. He leaves – again. There is no-one who can tell him, now, where it is he needs to go. He could simply stay where he is, but he goes again, to somewhere new, and this time he goes there on his own. Rahula suggests it is “unique in the history of religions” (1974: 2-3). Armstrong, Karen 2000, p. 56-9. Prebish & Keown (2006: 33-35) and Mitchell (2002: 16) are representative in framing Gautama’s progress as simply that of an aspirant mendicant who remains technically unsatisfied with existing yogic disciplines and their results. The question of autonomy as such, or its implied need, is not raised. Doubt, however, as a functional dimension of dharma practice is considered in Sharma, 1997, Goldstein, Joseph 2002; cf. Nishitani, Keiji1983 and Abe, Masao 1986, 1997, on the “Great Doubt” of Zen. Unno, in Jackson & Makransky, 2000: 196. Loy’s thinking works within a Western philosophical academic frame informed by a decades-long Zen Buddhist practice and residence in East Asia: any study of Buddhist theory requires, from the beginning, more than a purely cognitive apprehension of its ideas. By its nature, Buddhist metaphysics points towards a thorough cognitive, self-reflexive exhaustion of (erroneous and other) conceptual frames, with the direct view to seeing-into and beyond them. (Loy, 1996: 24, and Abe, 1986: 4). Similarly, in a discussion of the norms for contemporary academic Buddhist theology, Cabezon sees such equal valorisation of theory and contemplative praxis as grounded historically in the Indo-Tibetan tradition: “…it’s attempt to balance theory and practice – the conceptual study of doctrine and its internalisation in meditation – serves as a continual reminder that the Buddhist theological task must take both into account, and that it can be reduced to neither” (Jackson & Makransky, 2000: 34. Cf. also Alan Wallace, B. 2000: 67 ff. in the same volume.) This point also applies equally well to the work of Batchelor and Clements as longtime meditation teachers. Ibid. p.xiii. 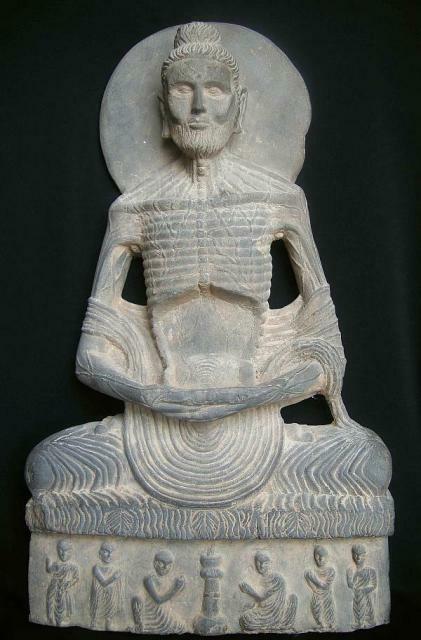 Similarly, the Buddha struggled with a binary polarisation between the essentialism of the Hindu Vedanta and the substantial existence of an atman-Self, and the nihilism of absolute non-existence, before he could arrive at his own apprehension of the Middle Way emptiness of dharmas and selves. (Nagarjuna, 1986: 9). Loy, 1996: 64-5. (For a parallel analysis, cf. Abe, 1986: 6-7). Schuon points to the ambiguity: “To transcend the ego is to transcend the human, although one could say, from another point of view, that this transcending is “human” in the sense that it constitutes the specific excellence of man or his supreme aim.” Schuon, Frithjof 1993: 13-14). cf. also Clements Spiritually Incorrect DVD, 2006. Inquiring Mind, Spring, 2003 (hereaf. IM). 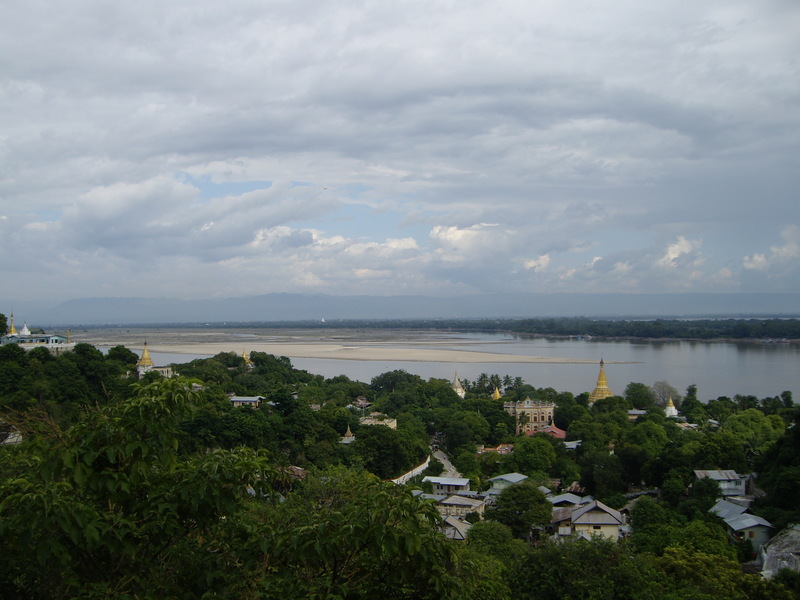 The beautiful Sagaing Hills, an area some thirty kilometres out of Mandalay in central Burma, is home to a rich diversity of Buddhist retreat culture. There are hundreds of monasteries and nunneries, lay-retreat meditation centers, colleges and other educational institutions to be found there, housed in quiet hermitages, attractive old colonial outposts and more modern monastic facilities. 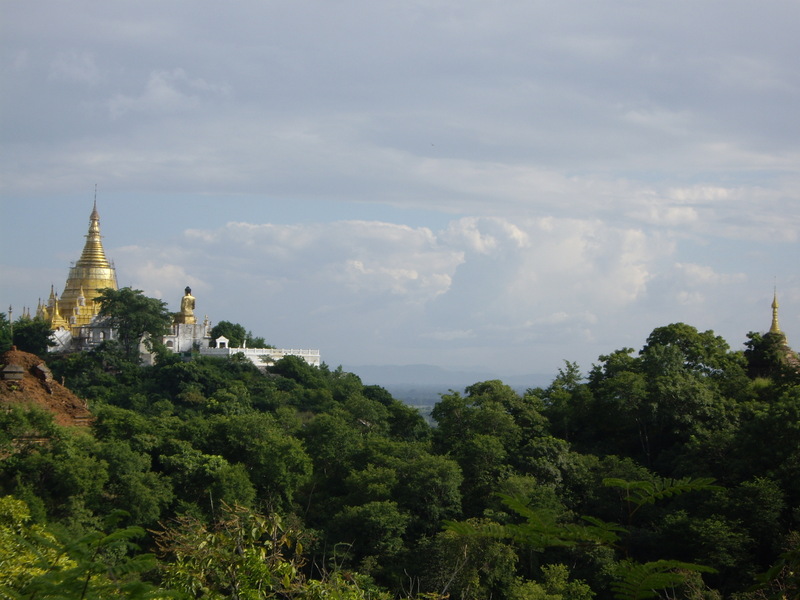 There are innumerable examples of the typically golden-spired Burmese pagodas rising up out of the rich green foliage of the hills, that themselves border and rise away from the tranquil broad banks of the Irrawaddy River. It is a remarkably serene, limpid place, only the occasional sound of amplified Buddhist chanting joining the atmosphere of repose and ease that imbues the life here. Sagaing is the Burmese equivalent of Indian ashrama culture, where many Burmese come after retirement to devote themselves to matters of the spirit, and a personal discipline in Buddhist study, meditation and ethical living. The often beautifully elegant pagodas, monastery temples and shrines are testimony to this culture; the people likewise, monastic and lay, move along the roads with a calm and gentle eye – even the numerous street denizens of dogs and cats suggest a life of renunciation from strife and discord. 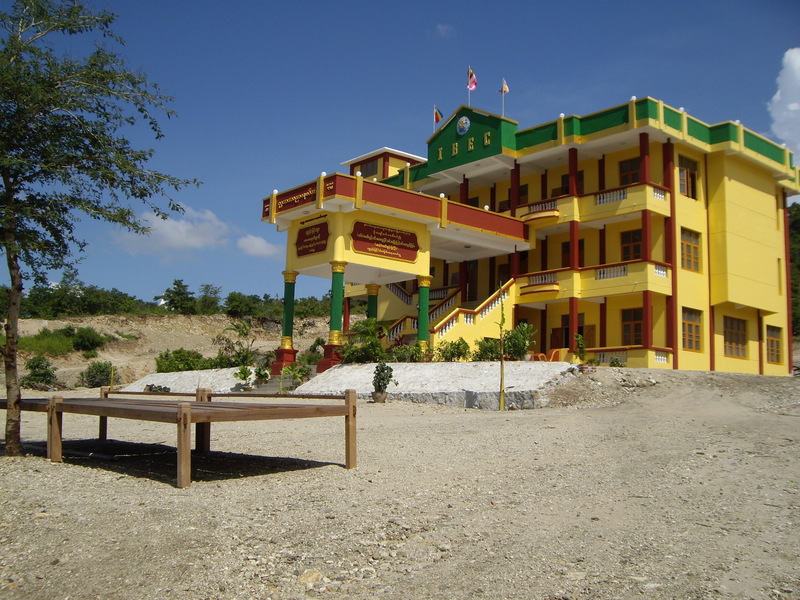 Beyond the dirt roads of a small village and rising high above the outlying area into the topmost of the range of the Sagaing hills, is the newly-developed International Institute of Buddhist Education (IBEC). Initiated in 2006, the new monastic and secular educational institution now houses nearly one hundred young monks, a new and impressive central teaching and administrative building (see attached photos), a library, classrooms, several outbuildings and an eating and cooking area. Its principal director is the Venerable Ashin Sobhita, a young but already highly respected Burmese senior monk who with eight other monk colleagues has been a guiding force for the establishment of IBEC since its founding. Many of the young monks who have come there have sought refuge from broken families, poverty and the vagaries of life under a totalitarian state regime. Their ages range from five to twenty years old. Many are orphans and others simply seeking a better educational prospect than the public schools often too expensive for their means. At IBEC the educational curriculum includes the secular national curriculum of the sciences, Burmese, English language, history and mathematics, as well as the Buddhist training program. This latter consists essentially of two main areas: Priyati, or the text-based study of the Pāli language in which the corpus of Theravada Buddhism (of Burma, Sri Lanka and Thailand) is written. This includes a thorough oral and aural training in the suttas, or original sacred texts of the Buddha, in the vinaya or monastic codes of discipline for Theravada monks (and nuns), and the abhidhamma, or more technical philosophical and psychological treatises analyzing the nature of mind, consciousness, emotions and samsaric ignorance, and the Buddhist path to awakening from such ignorance. All three of these areas of study constitute the three traditional ‘baskets’ of Theravada (indeed all Buddhist) study, the tripitaka. Along with this category of priyati, goes the study of pripati, the practical aspect of meditation and devotional ritual which puts the more theoretical study of priyati into a dynamic context of self-enquiry, ethical relations with others and especially the teacher. In pripati also the monk develops a personal faith and devotional symbiosis with the symbol of the Lord Buddha, such that all his efforts and studies gain the added blessing of the richness of 2,500 years of Buddhist tradition inspired by its great founder. The Theravada in Burma, as elsewhere, is thus eminently pragmatic and rational in its philosophical orientation, as well as being steeped in values of respect, humility and selflessness. All the monks live together, sleep, eat and wash in common quarters, their only personal possessions being usually a tin trunk which designates their sleeping-space on the floor of one of the buildings, holding only their robes, books, study-materials and Buddhist ritual objects. The monks appear to live happily and comfortably in this traditional Buddhist manner. There is a lot of laughter, a lot of time for outdoor sports, or indoor reading during the hot hours of midday, as well as personal consultation with their teacher. Every morning and evening – a feature comparatively unique here, and not commonly practiced in the Tibetan monastic schedule for example – all the monks gather in an assembly for 45-minute sessions of meditation. Here, as in their more theoretical study, they follow the essential twofold practice of both samatha, and vipassana meditation methods, involving a foundation in mental calm-abiding, or equanimity, followed by analytic or insight, depth-meditation practices, respectively. Their teachers are always on hand to guide and supervise their practice. IBEC functions as a remarkably inter-dependent community of Buddhist enquiry and training, the intention for the Buddhist goals of awakening to wisdom and compassion that has its earliest beginnings in the first Buddhist sangha. The secular educational component is also strong at IBEC, and some half-dozen trained, and often quite young, teachers live on the premises in their own dwellings, some distance from the central monastery buildings. 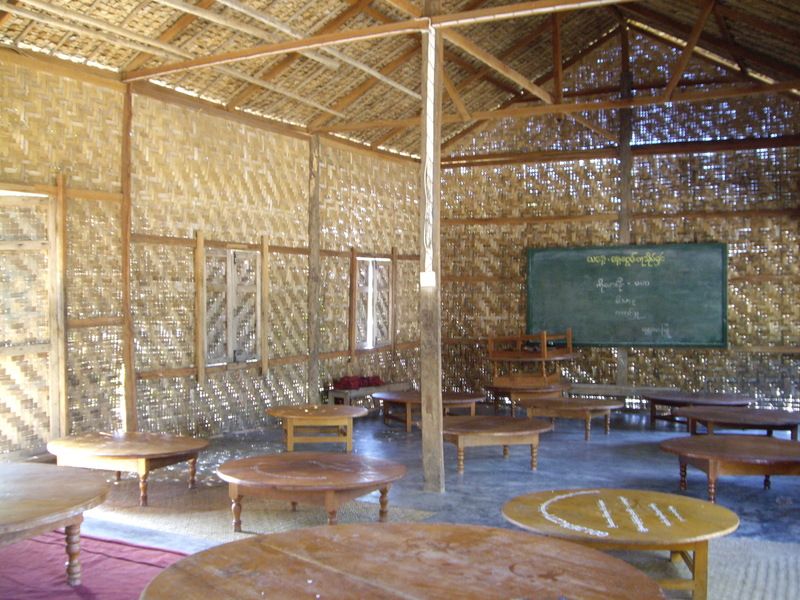 Many of these teachers have received their education in Rangoon or Mandalay or other large cities, but prefer to live in the semi-retreat conditions of Sagaing in order to pursue their own Buddhist interest. Indeed, the entire institution functions as a Buddhist refuge for both monastic and lay interests; some teachers are part-time professionals who come to spend a shorter period living on the site and offering their expertise, whether it be English-language teaching, IT training or technical know-how. Some of them might be local people, educated but suffering personal travails that demand they seek some ‘time out’ from urban pressures. 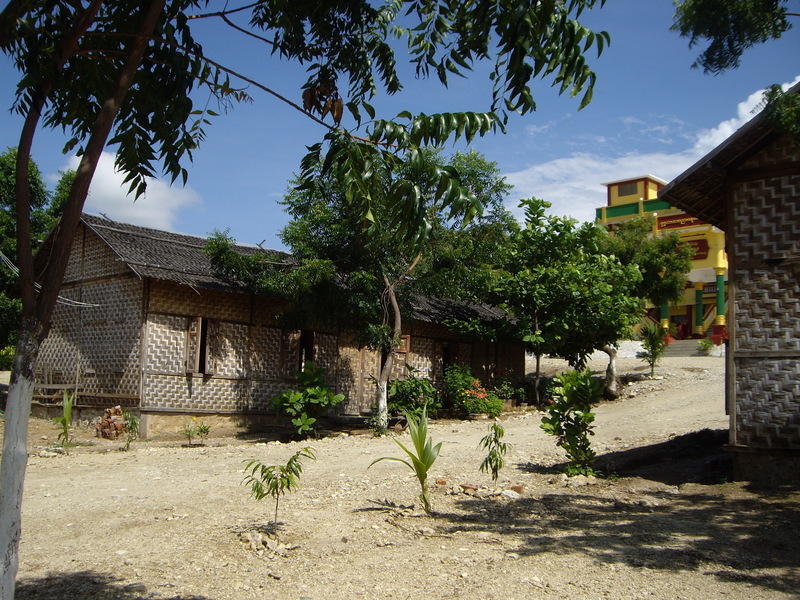 Many others, and there have been at least a dozen teaching volunteers as well as newly-ordained monks and nuns, are Western travelers who come to appreciate the unusual and idyllic possibilities somewhere like IBEC, and its surrounding context, offers someone who in the West has perhaps less choice of lifestyle, and at a much higher cost. Those who come to IBEC as volunteer teachers receive food and board, along with the other resident teachers, at no cost. Several of the Western teachers have been able to ordain at IBEC as monks and nuns in the Theravada tradition, for shorter or longer periods, and with the full support of the resident sangha. Mandalay is only an hour or less away, so some volunteers also combine their experience at IBEC with commitments they might have in the city. The flexible ease of options at IBEC appears to work excellently for all concerned. 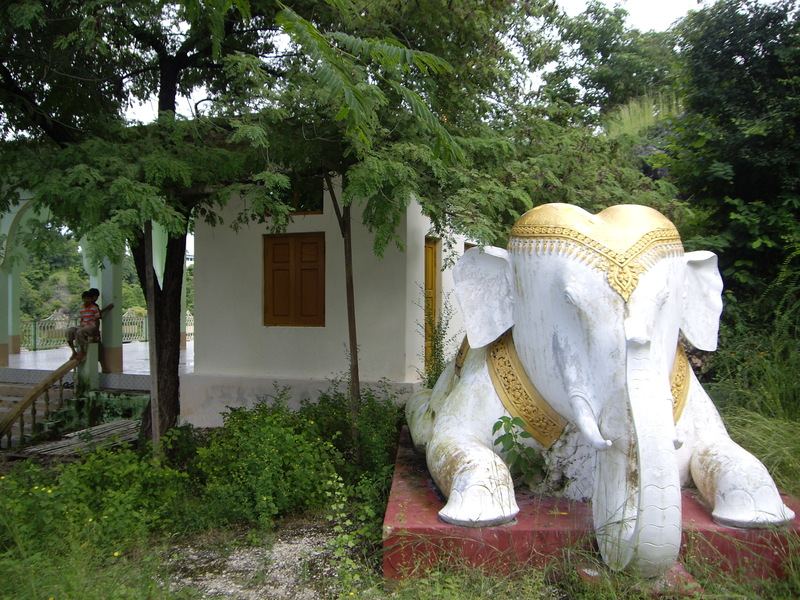 Venerable Sobhita hopes to add further extensions to the existing housing and teaching buildings on the site, as well as computer-lab and multimedia facilities for seminars, conferences and seasonal retreat services offered by IBEC in the future. He envisions IBEC and similar Buddhist institutions as offering an alternative to the state-run educational system, often limited in its scope and too expensive for poorer and disadvantaged people, and for developing a genuinely global and tolerant perspective on other religious faiths. He also sees IBEC as being able to foster an ethical expertise in being able to train sangha and lay-people alike for many of the social and political challenges that face Burma as well as the world at large. He welcomes visits and/or donations to IBEC from anyone with a sincere interest in Theravada Buddhist teachings, and especially those who seek other possibilities of life in environs unlike those they know in the urban megalopoli of the East and the West. 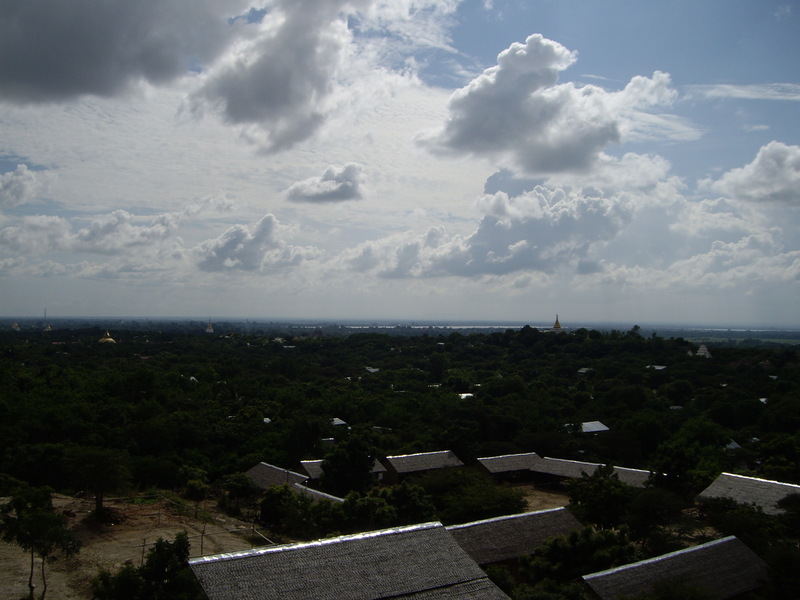 Sagaing is a quiet, idyllic place where it is easy to forget the troubles of the greater world, yet where better to start the work Venerable Sobhita describes? And it would seem that the training and environment for Buddhist attainment could realistically be achieved here, where such an authentic example of the intentional Buddhist life flourishes so richly. The website of I.B.E.C. can be found at: www.ibec-sg.com, as well as further contact for visit, retreat or donation enquiries. In early March 2002, Khin Zaw, pictured, stepped on a landmine while working as a hunter in the Wawlay Nyaing forest some four hours outside of the small Karen town of Myawaddy on the Thai-Burmese border. He lost his right leg, and with it any viable means of livelihood, and for eight years has lived exclusively from begging in the streets of Chiang Mai, in northern Thailand. Myawaddy is the site of recent (and decades-long) armed conflict between the Burmese military and a coalition of Karen independence fighters, including breakaway factions of the DKBA (Democratic Karen Buddhist Army) and the KNLA (Karen National Liberation Army). This more recent fighting of the past two months has killed many and resulted in a continuing exodus of more than 20,000 refugees from threatened villages into the Thai border town of Mae Sot, from where many are sent in short order back into Burma. Among many of these refugees, in addition, are landmine victims, many non-combatants or farmers, or, like Khin Zaw, itinerant hunters pressed to work in dangerous areas to support, as he did, his family in the city. From that date in early-March, Khin Zaw has in fact not seen his wife and two children, now in their mid-teens, still living in Yangon. He has never been able to afford the ticket that far, and nor would his compromised physical condition permit him to find or be offered work in Burma – nor anywhere else. The stigma attached to the forced abandonment of his family and livelihood in Burma is palpable, and has in large part kept Khin Zaw from maintaining strong ties with his family in Burma. Nor does he have contact with brothers and sisters still living there. While speaking with Khin Zaw, who I met begging on the main tourist strip of Chiang Mai (as he does seven days a week for four hours a day) discussion of his family introduces the only real moment of discomfort, clouds of pain overshadowing his otherwise warm, usually smiling face. Khin Zaw is learning English, when he can afford it, in Chiang Mai, but his friend and fluent English speaker Ajong offers to translate for us. 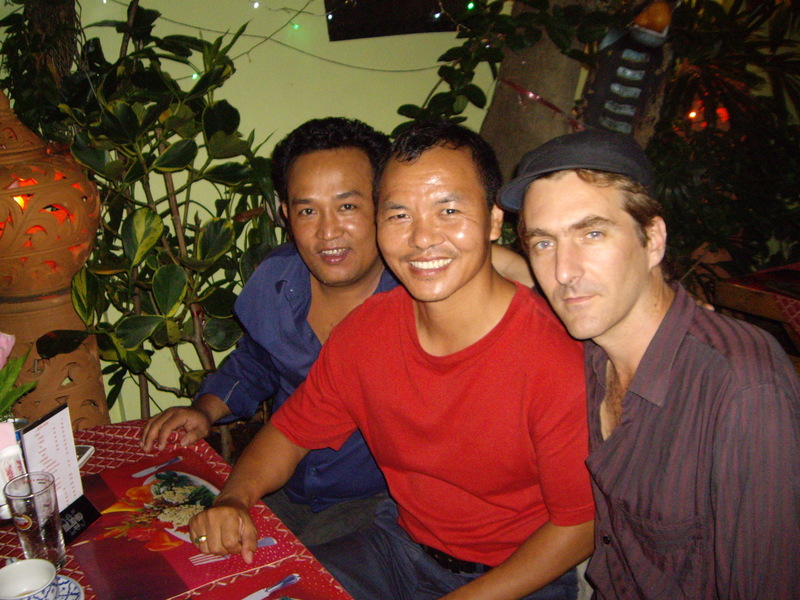 They are both open and friendly, softly-spoken and tactful men, with an intelligent modesty of manner that seems to come naturally to many Burmese. It is a three-way conversation that illumines for me perhaps only some of the legal and socio-economic complexity lying behind the lives of Burmese illegal refugees in northern Thailand, though on the evidence it would seem Khin Zaw’s story is emblematic of many here, and in Mae Sot further south. As the conditions which have given rise to it are ongoing and critical, it seems equally as critical to bring awareness of such conditions to a wider audience. Khin Zaw expressed a happy willingness to tell me his story, and I am honoured to relate it here on his behalf. When he stepped on the landmine, he relates, he was living alone but had work friends nearby who were able to carry him bodily through the jungle across the border into Thailand. The accident occurred at one in the afternoon, and they arrived at the Thai border town at nine that night, where the Mae Sot Hospital immediately took him into intensive care. Khin Zaw tells how he was largely unconscious during the journey and with the great loss of blood came very close to dying; were it not for the prompt and incredible service of his two friends, he would not have survived. He stayed in Mae Sot some three months in recovery, without cost, before being released into the general community. Dr. Synthia Maung from the Mae Tao Clinic in Mae Sot claims that 60 to 70 per cent of landmine victims who make their way there are civilians, many women and children. As an accident victim Khin Zaw could not be classified as a refugee, and nor did any of the NGO operations and their representatives approach him for economic or further social support. He relied exclusively on Burmese friends, until they too were unable to support him, and he felt he couldn’t expect more from their hospitality. So he returned, largely by necessity, to Myawaddy, and took up again in Wawlay district with his old workmates. But unable to work, having little longterm incentive to stay there either, and unable to reach his family in distant Yangon, he did as many do in his situation, and sought refuge in Chiang Mai, further north in Thailand. But this is where the more intractable of Khin Zaw’s troubles began. As an illegal alien in Thailand, Khin Zaw, along with thousands of others seeking refuge from the fighting in Karen and Shan states, as well as the oppression in Burma generally, is constantly at risk of deportation. Indeed in the eight years since his accident he has been arrested nine times, imprisoned at length each time, and sent back into Burma at Tachilek, a crossover point for many refugees (and other travelers alike) linking to Mai Sai on the Thai side of the border. He is not entitled to a passport, or a visa for Thai residence, and in view of his injury, a work-permit. On every occasion of his arrests, the first in 2004, he has been forced to spend up to a month in jail each time, and most recently three and a half months, before the inevitable deportation to Tachilek. Altogether his periods of incarceration, an innocent victim of an illegally-planted landmine, have amounted to roughly nine months. 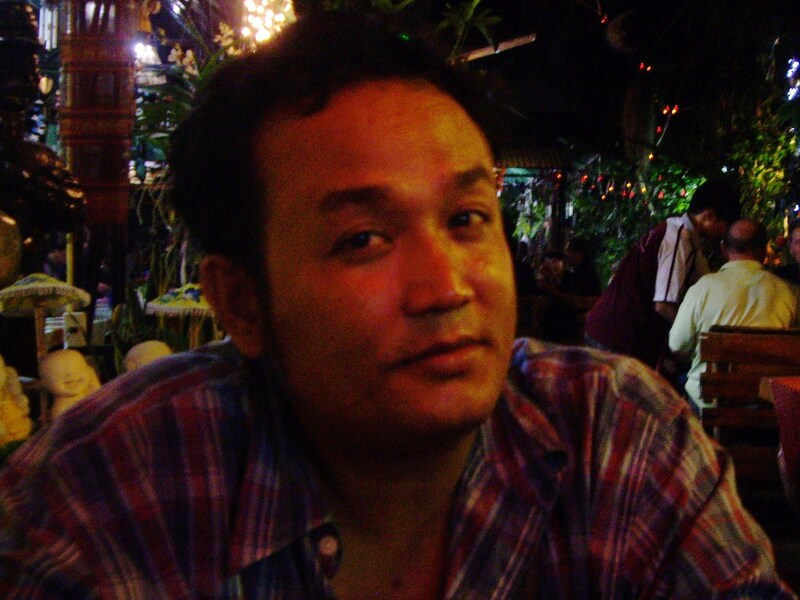 On each occasion also he has had to pay Thai police 5,000 Baht (c. US$165) in order to secure his release. Once across the border at Tachilek, which he soon leaves to return to Chiang Mai, he is ordered by Burmese soldiers to relinquish any valuables he might still have – whatever cash he carries, a watch, clothes-items, mobile-phone. His only saving-grace on the Burmese side of the border is that as an ethnic Burmese (Bamar), Khin Zaw is spared the beatings he has regularly seen meted out as a matter of course to his less-privileged, usually Shan (or other ethnic nationality) fellow-countrymen. It’s hardly surprising that under these conditions he chooses to risk again the uncertainty of life in Thailand, than remain in the effectively closed society of life under the military regime in Burma. He says that he loves his country dearly, but can’t live under those conditions. It is hard enough under most conditions available to him, as a handicapped man, but those in Burma make the suffering still worse. Burma is one of only 17 countries that abstained from voting on a 2005 United Nations resolution to ban the use of landmines globally. The ruling SPDC (State Peace and Development Council), or its current manifestation in the nascent ‘government’ following the fraudulent elections of November 7, has similarly not acknowledged the Mine Ban Treaty. Recent figures on landmine accidents in Burma available from Landmine Monitor show a 90 per cent increase in 2007 from 2006 figures. The online Landmine and Cluster Munition Monitor reports that “In 2009 there were at least 262 new mine/explosive remnants of war (ERW) casualties in Myanmar…of the total, 259 casualties were civilians…In 2008, at least 213 civilian casualties (30 killed and 183 injured) were identified.” It adds that “Due to the lack of systematic data collection and varying sources of annual data, reporting does not reflect the full extent of mine/ERW incidents and casualties in the country. In 2009 the UN noted that many casualties remained unreported.” Other international monitoring organizations (such as Human Rights Watch) have also claimed that the Burmese military and insurgent armies using civilians to reconnoiter known landmine areas (known as minesweeping), acting effectively as mortal human shields, is prevalent as well. Other NGO workers, including Medecins Sans Frontiers, have withdrawn from working in Burma in part because of restrictions the government has placed on their access to landmine victims. The mines themselves are bought from, among other places, Italy and the U.S, and following Russia’s recent discontinuation of landmine use, Burma is now the sole non-participator in the aims of the global anti-landmine treaty. Now 41 years, Khin Zaw remarried in Chiang Mai, and after a powerful conversion experience, became a Christian along with many of his fellow Burmese there. He speaks of the indubitable sense of the love of Christ, a direct emotional transference that he rarely felt in the more intellectual reasonings of his native Buddhism. He describes the doctrines of karma especially as too complicated and demanding to observe with real consistency, in contrast to the simple but deep faith in Christ that allows him to feel forgiven and purified whatever his current circumstance. Considering his consistent warmth and cheeriness, there is little doubt his Christian faith has given him much in pulling through the constant hardships of eight years. I can only marvel at his resilience, as he lifts his carpet matting and crutches from his grubby spot on the street to catch a tuk-tuk home, after half a dozen ignore him as a social undesirable, an illegal, one of those of the social under-class in Thailand the local people tend to avoid. It remains the case that no social support network can be relied upon by Khin Zaw in Chiang Mai, and even his church can’t afford supplements to his meagre earnings as a beggar – at most some 2000 Baht (US$66) a week. While I sit with him at his begging-post it is normal to watch long eddies of Western tourists and Thai party-goers pass him without notice, or for an occasional tourist flashing jewellery and cameras to stop and churlishly offer him a 20 Baht note (US 66 cents). Just around the corner the same tourist readily pays 400 – 600 Baht (US$13 – 20) to watch kick-boxing shows, or pay 170 Baht (US$6) for a drink. Such is life as usual in Chiang Mai, for Khin Zaw, and for those who pass him seemingly oblivious to this particular reality of the place and the time. A day or so after our interview, Khin Zaw invites me to visit his church, and tells me he never fails to make it there every Sunday. I ask him how he gets there, and smiling expansively he says he takes a tuk-tuk. It costs him 100 Baht for the round journey, but he never resents the weekly cost. “I have faith,” he says, smiling. “You have to trust things will be ok”. If you would like to support Khin Zaw, you can send a donation to him via Western Union to Chiang Mai, Thailand. I can receive and reply to your queries, and liaise the recovery and confirmation of receipt of donations, and pass all funds directly to Khin Zaw. I can be reached at gangetics@gmail.com. You may be sure your efforts will be warmly appreciated.